I arrived in Salt Lake City for my RootsTech 2016 trip on Monday, February 1st in the afternoon. The next morning I went on a group tour of the LDS Church History Library. 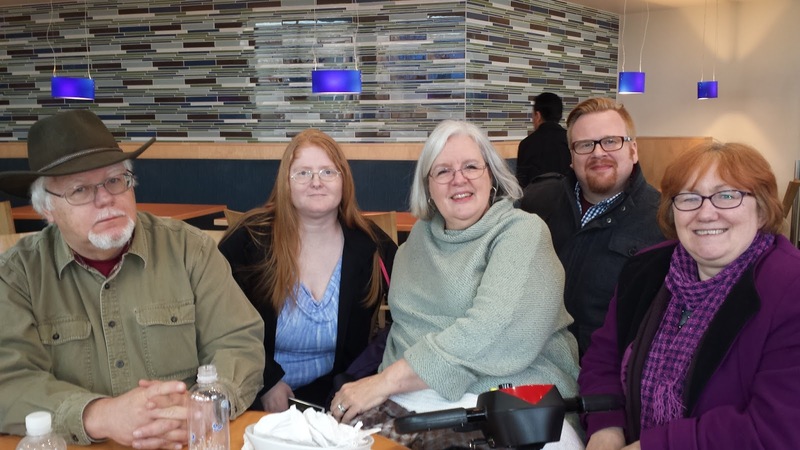 Later that day, I had lunch with fellow genealogy bloggers at the Blue Lemon, which is a restaurant in the City Creek Shopping Center. 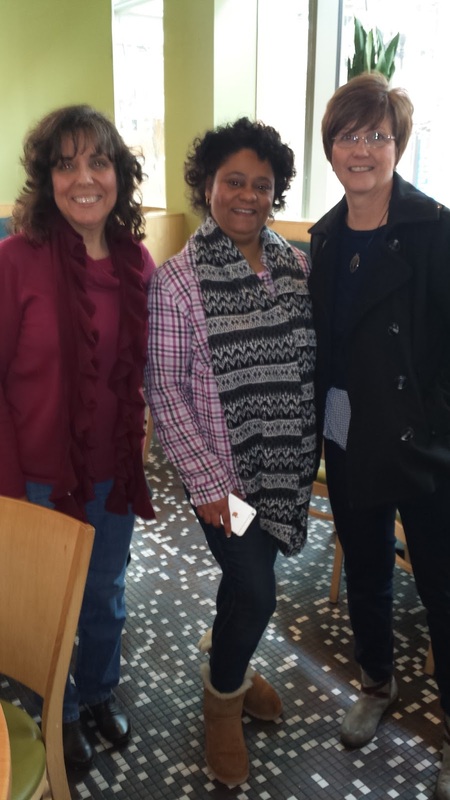 Thank you Pat Richley-Erickson, author of the DearMyrtle blog, for organizing this lunch! 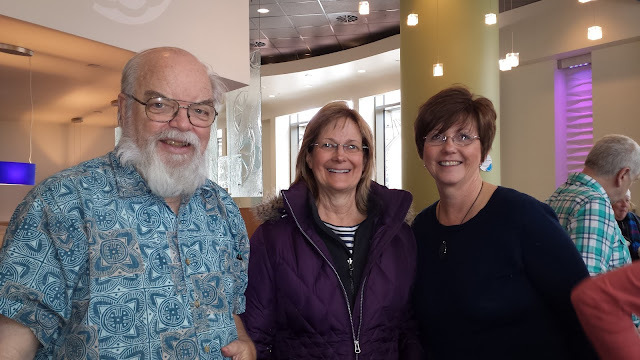 This was my first of many genealogy blogger meetups throughout RootsTech. It was wonderful to meet fellow genealogy bloggers that I've only known online. It was also great to see genealogy blogger friends that I've met before. 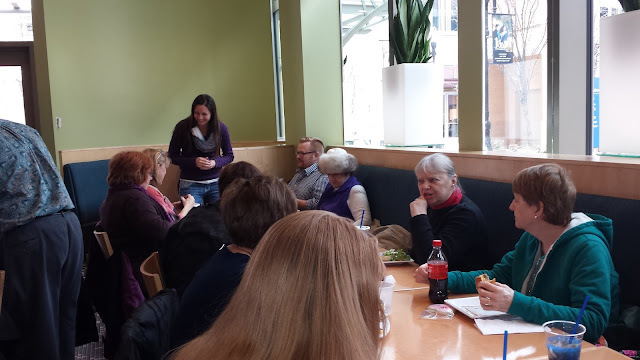 Here are some photos from our genealogy blogger lunch meetup. Getting together with fellow genealogy bloggers at RootsTech really was awesome! Glad I had a chance to meet you and say hi. Hope that lunch becomes a RootsTech regular event. It was great meeting you too Linda! Oh yes, making this lunch get-together a RootsTech regular event would be wonderful! Thanks for posting pictures so that I can see what I missed. Maybe next year??? You're welcome Wendy! It would have been so fun if you had been at RootsTech this year. Definitely next year, okay? Follow Jana's board Blog - Jana's Genealogy and Family History Blog on Pinterest. I'm Here in Salt Lake City for RootsTech! Copyright © Jana Last 2012 - 2019 - All Rights Reserved. Simple theme. Theme images by tillsonburg. Powered by Blogger.